As parents it is easy to fall into the mode of focusing on the wrong behavior, rather than the heart problem that is causing it. 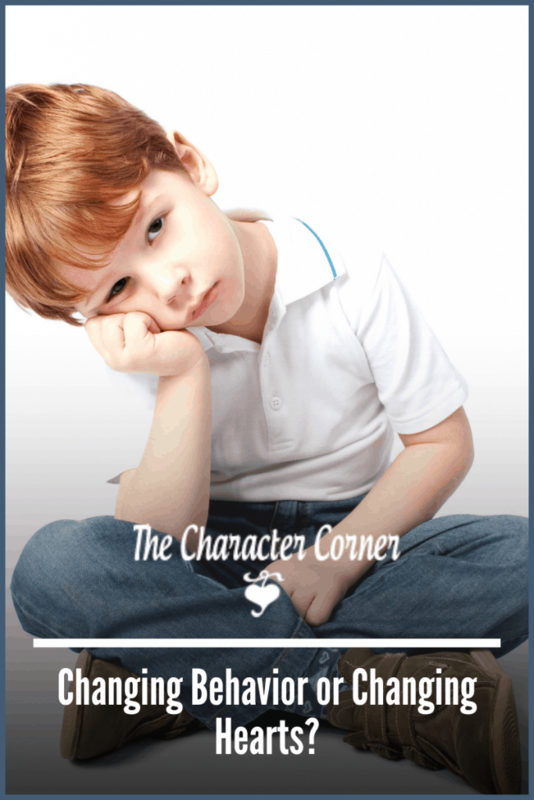 Is your parenting focused more on changing behavior or changing hearts? If you had to quantify your parenting focus with the following words, which two would be most accurate: Managing Behavior or Mentoring Hearts? I love his reminder of what the real purpose of discipline is! 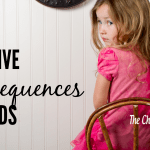 However, if we are being truthful we would probably have to admit that often we forget that, and get frustrated when our children show wrong behavior. It’s easy to look at wrong behavior as a disruption in our day which causes us to stop what we are doing to go and deal with it. That causes us to focus on changing the behavior without any focus on the heart issue. As a result, we focus on trying to get them to change their wrong behavior, while failing to address the cause of it, or the heart issue. God in interested in hearts because that’s where real and lasting change takes place. In fact, when you direct your energies toward your child’s heart, amazing things will happen. Parents often becomes the hands and feet God uses to mold a child’s heart. Our job is to find out where God is working and then partner with Him to do the deeper work necessary in our kids’ lives. Rather than viewing wrong behavior as an interruption and getting irritated about it, we need to remember that it is really an awesome opportunity to use God’s Word to address the heart issue causing that behavior. It is a chance for us to become the hands and feet God uses to mold our child’s heart. I don’t know about you, but the idea of God using me to mold the hearts of my kids is exciting! As I address the heart issue, I am opening the door for God to work in my child’s heart and life. The exciting thing is that God gave us His word as the tool we need to bring them into a right relationship with Him. Using Scripture is one of the most powerful way to correct and train our children’s hearts, because God’s Word has power that our words don’t have, and His Word brings conviction. Putting this into practical terms, when your kids are arguing don’t just get aggravated and yell at them to “Stop it right now!‘ When handling sibling squabbles deal with the heart issue. Is it pride or anger, etc? Once you have determined the heart issue, take the to God’s Word and show them what He says about it. For example, show them verses about how God hates pride, and how pride leads to destruction. Have them memorize one of the verses which they feel will help them in this area. Then pray with them about it, asking God to help them not to have a proud heart. It’s easy to fall into the habit of trying to change behavior because that is easier. However, that “well behaved child” may not act the same when you aren’t around to control their behavior. Changing behavior really only focuses on the short term. Correcting or mentoring the heart takes time and training, and the results aren’t immediately visible. However, they last a life time. 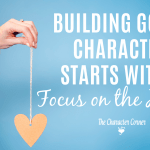 While some of our parenting needs to focus on correcting behavior, we have to remember that shouldn’t be the gauge for our success, because God looks on the heart. Good behavior can be from a right heart, but it can also be a temporary thing to appease you. It’s important that you get below the surface of right behavior, and work to build right beliefs from God’s Word in your child’s heart. 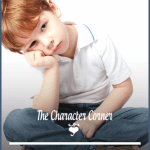 As author Cary Schmidt says: Short-view parenting builds behavior. Long-view parenting builds belief. Be sure to ask God to help you consistently focus on changing your child’s heart, and building belief as you point them to God’s Word. Get our free list of 20 Ways To Win Your Child’s Heart! Changing Behavior or Changing Hearts? 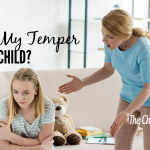 Why Do I Lose My Temper With My Child?